This is truly a one of a kind piece. 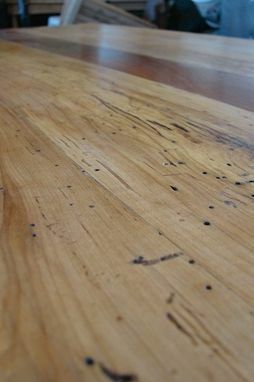 The table top is of reclaimed old wormy maple barnwood from the mountains in North East PA. The legs are elm logs also harvested from the farms woodlot. 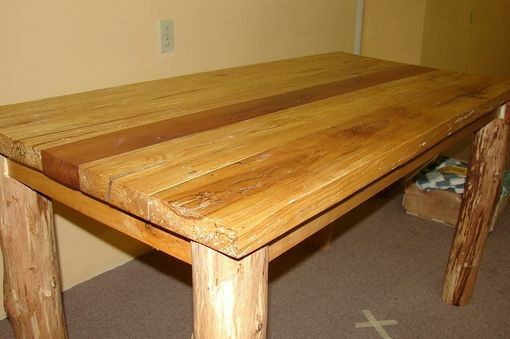 It comes together as a unique farm table that is sturdy and well built to last for generations. An heirloom piece that deserves a place in your cabin or country kitchen, it will lend itself nicely to any cottage or estate. 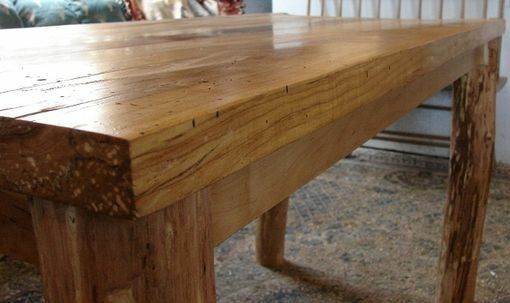 The table measures 26" wide by 54" long and it is a standard 30 1/2 inches tall. 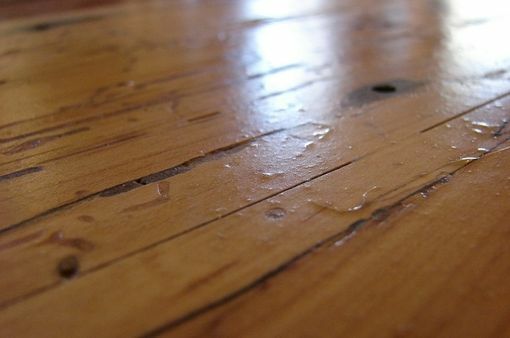 The actual table top is 1 1/2 " thick maple full of wormy character including nail scars and other stress points and knots. The cherry strip in the middle boasts its own charm from another majestic PA barn by creating a beautiful contrast to the maple. 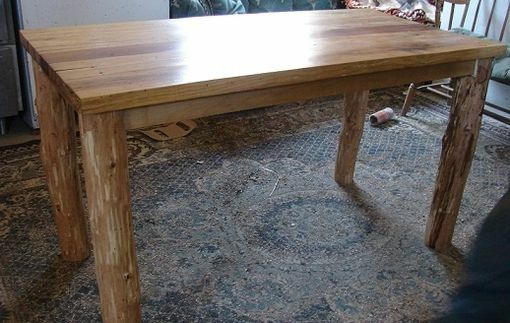 The elm log legs are four inches in circumference and ground the table perfectly. 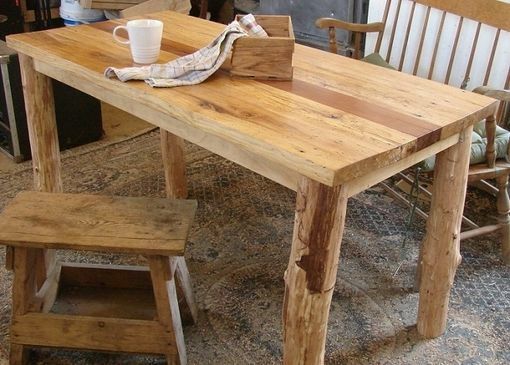 The table is a hefty piece of Americana weighing in excess of 100 pounds. Built to last a lifetime , or two!